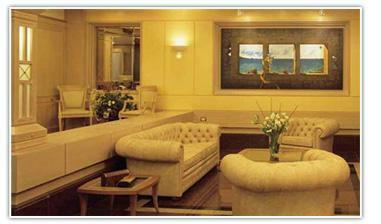 Hotel Holiday Suites, Athens. Holiday Suites Hotel Athens. To describe the Holiday Suites in Athens you will need just three adjective: elegance, high quality design, luxury. Rich and comfortable rooms with very quality amenities will satisfy every guests come in Athens for leisure or business. The services in the rooms are the typical ones but guests can also relax themselves in the living room or prepare a drink in the kitchen, deposit their laptop in a practical safe. The location of Holiday Suites allows guests to visit the heart of Greece's capital and also get access to transportation to reach the monuments of the city, commercial centres, beaches, Athens' Airport and also Piraeus Port. The services in the hotel are: 24 hours front desk, daily mail service, room service, fax transmittal, currency exchange, internet access, car rental service, dry cleaning service.